When building an online business from the ground up, one of the most important decisions one needs to make is which online shopping cart to use. In the old days, getting a robust an effective ecommerce shopping cart required advanced coding knowledge or, even worse, expensive third party services. But today, there is a variety of affordable, cloud-based services that allow you to build your online store quickly and on the cheap. Two of the most popular services among consumers are Shopify and AmeriCommerce. Choosing between them might seem difficult at first gander, especially since both have similar offerings, but Shopify is the clear winner for its ease of use and versatility. Let’s find out why. It first comes down to money. Both Shopify and AmeriCommerce offer a free trial of their cloud-based service for curious users, which is a big advantage if you’re an entrepreneur who likes to try things out for yourself. However, once the trial expires, Shopify is the one offering customers the cheapest entry plan, which is priced at $14.95. AmeriCommerce’s most affordable plan is a bit steeper, coming in at $24.95. Although the Shopify basic plan lacks certain features, it’s a good entry point for those looking to build their business slow and don’t want to commit the extra tenner (which would be better spent on the business). Growing businesses must be able to deliver services to customers no matter what their preferred payment method might be. The biggest advantage of using Shopify is its sheer number of payment options. So if you’re going to sell your products to an international audience, with all those foreign cards and regional payment services, Shopify is the clear winner with over 20 gateway options for international clients versus AmeriCommerce’s four. Having a shopping cart that works for your businesses unique needs is also important, and app integration gives you that flexibility. 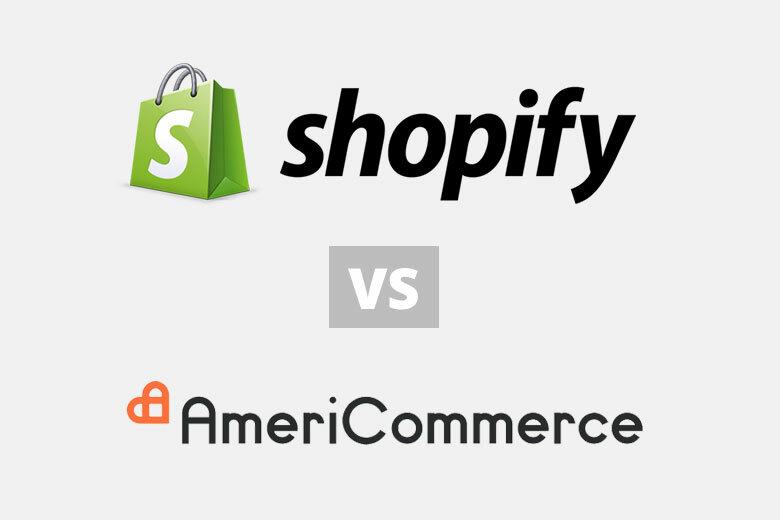 While it is possible with both Shopify and AmeriCommerce to expand the capabilities of your store using apps, it’s Shopify yet again who pulls forward in this race, offering integration with over 63 apps in comparison to AmeriCommerce’s 16. A huge difference when you’re thinking of adapting your stores capabilities as your business flourishes. A web shop needs to look good, and there are tons of examples of stunning ecommerce sites being built on Shopify and AmeriCommerce, with both services offering a selection of themes to choose from and to edit. However, it’s Shopify yet again who comes out ahead, with over a hundred templates to choose from. Need examples? Some of the best and top performing Shopify stores include the temporary tattoo shop Tattly, fashion brand Thistle and Thorn, and for you web designers out there, a Book Apart. When it comes to the dashboard, Shopify again is the clear winner. The simple to use interface helps you set up your store in no time. 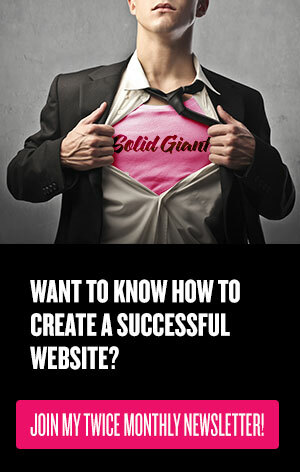 If you do get confused, a Shopify Expert is on hand to help you customize your store with the greatest of ease. While AmeriCommerce is an up and comer adding new features every day, Shopify offers more bang for the buck, and with Shopify’s growing customer base, the offering will only get better. If you’re looking for a highly adaptable ecommerce store, Shopify is your champion.